Have we found a major cause of Autism finally? But… the good news is, while I failed to get a post out on time for the occasion, I was made privy to some very exciting news in the field of Autism awareness to date instead: Dr. Theoharis Theoharides has discovered a reliable diagnostic test for autism spectrum disorders in children – and no surprise, it’s based on the extremely commonly comorbid Mast Cell Activation Disorders! His study found that 60% of children on the autism spectrum showed signs of atopy (allergic disease) – which includes mast cell disorders. Conversely, they are finding 1 in 10 children with a mast cell disorder is diagnosed on the autism spectrum. So clearly there’s some kind of correlation between the two, even if MCAD isn’t the whole picture for people with autism. I just learned about this last night (April 2nd, 2015) from this great interview with Dr. Theo by Marianne Sarolo-Russo. No, I’m not making this up. 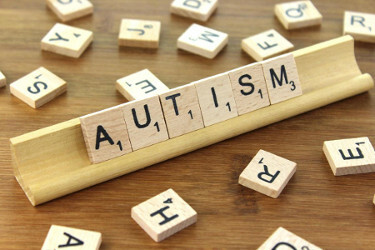 Yes, I dearly wish to write a lot more about autism spectrum disorders we’re finding so commonly comorbid in both the Ehlers-Danlos Syndrome (EDS) and MCAD communities. (Everyone seems to either be on, or related to someone on the Spectrum from what I’m observing, including myself, albeit not all diagnosed.) I’m just dying to know what role if any comorbid hypermobility may also play in this matter also. I’m suspecting at least a small role likely from our generally larger amygdalae we find in the hypermobile population myself – which is the seat of emotions in the brain along with “saggy” hind brains lending to Sensory Processing Disorders among other things in us, but I need to dig up some of my sources for this thanks. Meanwhile, if you don’t know already, many in our MCAD groups (and by proxy the ASD community) are finding great benefit from the natural mast cell stabilizers quercetin and luteolin, as much or more so than from chromolyn sodium, a prescription mast cell stabilizer that does still help some with MCAD, though not all (including myself.) I see reports all the time from MCAD patients in the larger groups recovering from loss of speech and bad brain fog using various forms of these, including Neuroprotek, an OTC supplement available online. I’m sorry to cut this post short for now – I will try to revise it and speak to the issue at length soon. But I wanted to at least get this very exciting news out as soon as possible! This is groundbreaking!